The Cabinet has approved a 12.5% bus fare hike and to increase the minimum fare up to Rs 12 with effect from midnight, Deputy Minister of Transport Ashoka Abeysinghe said. He stated that the proposal to increase the bus fares was put forward to the Cabinet this morning and that approval was granted on the condition that fares will not be revised for another 2 years. Earlier this month the Cabinet of Ministers approved to only increase bus fares by 6.56 percent due to the recent fuel price hike, but kept the minimum fare of Rs 10 unchanged. 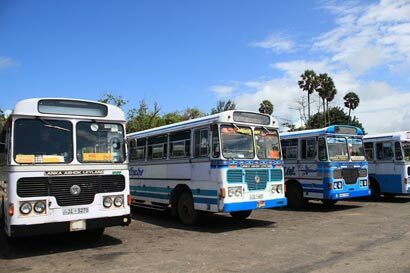 But taking into account the Lanka Private Bus Owners demands to further increase bus fares (to increase the minimum fare to Rs. 15), the government decided to hike bus fares only by 12.5 percent. The strike was subsequently called off after an agreement was reached between trade unions and the government to increase the bus fares by 12.5% and to increase the minimum fare to Rs 12.